Moscow 1919th. People of the theater are hungry, talented and young. 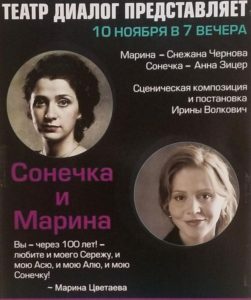 The main characters: actress Sofya Evgenievna Gollidey, Sonechka and Marina Tsvetaeva. 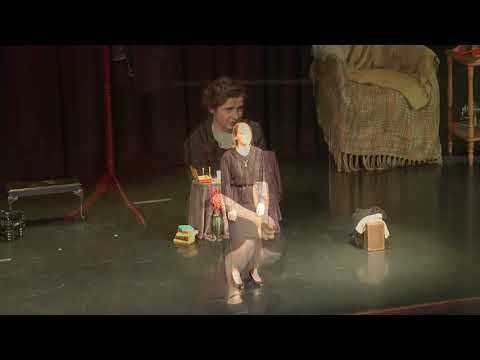 The play about spiritual closeness, love and imminent separation. What helplessness, fragility, what kind of circling on the edge of life … An excerpt from Dostoevsky’s story “White Nights” is woven into the outline of the narration.